THE GOG BLOG by RORY SPEARS, Director of Creation and Content. Follow Rory on Twitter @GogBlogGuy, and on Linkedin and Facebook. 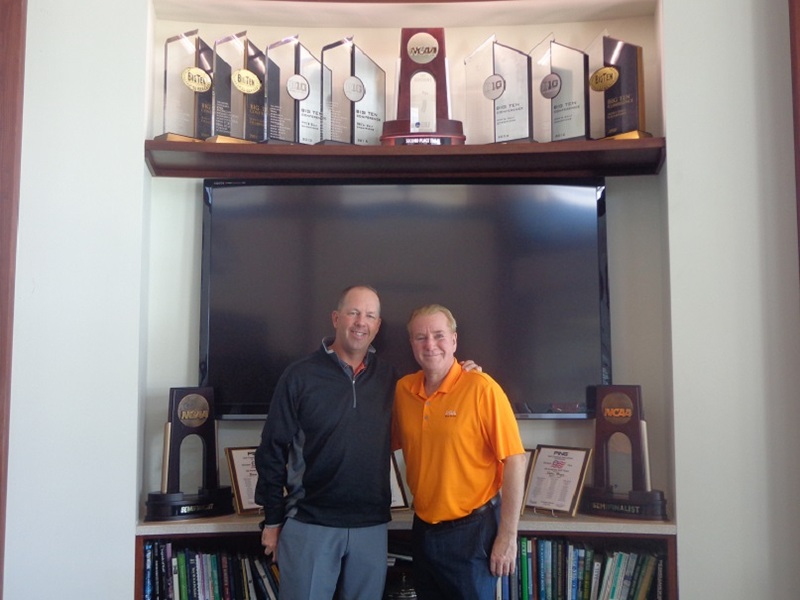 With University of Illinois Men’s Golf Coach Mike Small. IT’S FOUR IN A ROW and a Grand Slam of sorts for the University of Illinois, with their fourth straight Big Ten title, after a 15 shot win over the Ohio State Buckeyes. The third and final round started with Illinois holding a 1 shot lead over the Buckeyes, but within three holes it was Ohio State with a 1 shot lead. That didn’t last long, as Illinois behind Senior Nick Hardy roared back and took control on the front nine, and then poured it on across the back nine. Hardy who will turn professional in about 30 plus days, ended his run at the Big Ten Championship the same way he came in four years ago, with a win. Hardy’s three under par 67 on a windy Baltimore Country Club,capped off what head Coach Mike Small called a “huge week” for Hardy. Illinois was the only team to finish under par for the week, and Hardy became the 8th straight member of the Fighting Illini to win the Big Ten Championship, and the fourth member of the Illini to win more than one title. Hardy took over the lead from Penn States Cole Miller late in the front nine, and added two birdies in the last three holes to win by two shots. Only two players shot under par during Sunday’s final round. Along with Hardy Michael Feagles and Bryan Baumgarten earned All-Big Ten Championship Team. Senior Dylan Meyer finsihed in 8th place, Meyer recorded top 10 finishes all four of his years at Illinois. Illinois won it’s ninth title under Coach Small, and is the first Big Ten School to win nine titles in ten years, since Ohio State accompisihed the feat from 1976 to 1987. To view the championship watch a tape delayed broadcast on May 7th at 4 PM CST. Illinois will find out on Wednesday which of the six regional’s it will compete in. 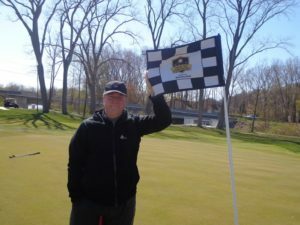 The university of Iowa finished in third place, 21 shots behind Illinois, with Penn State three shots back of Iowa, and Northwestern was fifth. The Wildcats were led by Dylan Wu who had a third place individual finish. THE GOG BLOG by RORY SPEARS, Director of Content and Creation. Follow Rory on Twitter @GogBlogGuy, or on Facebook or Linkedin. 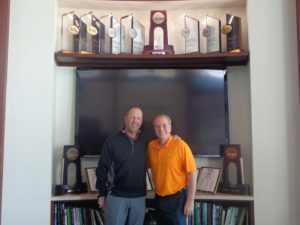 With Illinois Men’s Golf Coach Mike Small at the U of I practice facility. 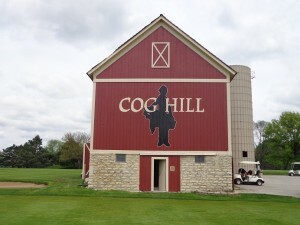 THE 12TH RANKED Fighting Illini are position to won yet another Big Ten Championship, this year again at the Baltimore Country Club, known as Five Farms in Maryland. After trailing Ohio State by two shots after the first 18 holes, the Illini rallied behind seniors Nick Hardy with a 2 under par 68, (T-2) and Dylan Meyer a 69 (T-8) with teammate Michael Feagles who carded an amazing second round 6 under par 64. As a team Illinois is 11 under par through 36 holes. Ohio State the first round leader is still sitting right on the heels of the Illini, only 1 shot back. From there the rest of the field is some distance behind. Iowa is in the third place with Penn State, but those schools are 14 shots back of Illinois, and then there is more drop off to Northwestern in fifth place. Today is the final round of the championship on the 7,181 yard, Par 70 Five Farms East Course at Baltimore CC. Final round action is now underway and Ohio State is now back in the lead after 4 holes by 1 shot. Northwestern is the second highest rated Big Ten team at #35, Ohio State is at #73. Dylan Wu leads Northwestern early in Round 3, and is 2 under par for the championship. Illinois is looking to bounce back after leading at the 36 hole mark a week ago and losing to Ohio State at the Robert Kepler invitational in Columbus Ohio, as the Buckeyes rallied to win on the final day. ILLINOIS WOMEN”S GOLF ; Coach Renee Sloan’s Team finished in second place at the Big Ten Women’s Golf Championship, the teams best finish since 1976. The final round score of -7 matched a program best single round score. Illinois had four players get selected to the All Big Ten Team, Grace Park to the First Team. Bing Singhsumalee First Team, Tristyn Nowlin Second Team, Chayanid Prapassarangkul Second Team. The Illinois Women’s Team will move on to NCAA Regional play and will compete alongside of Big Ten teams Northwestern, Ohio State,Purdue and Wisconsin. Six of the team will move on to the NCAA national Championships in Stillwater Oklahoma. NORTHWESTERN had four women make the All Big Ten team lead by Sr. Hannah Kim who made the First team All Big Ten team for a Northwestern school record fourth time. teammate Janet Mao was also named to the First team. Northwestern players Sarah Cho and Stephanie Lau earned All Big Ten Second-team honors. Northwestern is ranked #11 in the country heading into post season play. GOLFERS ON GOLF RADIO is back for Week #3, with guest host Tim Cronin. please join Ed Stevenson, Bill Berger and Rory Spears for an exciting hour of golf talk on Am 750 WNDZ starting at 10 Am this morning. IT’S WEEK #3 and Golfers on Golf Radio is back with another exciting week of golf talk, with the tee time being 10 Am on AM 750 WNDZ. Rory Spears, Ed Stevenson and Bill Berger, will be joined by special guest host, long time golf writer and author Tim Cronin. This week our guest is USGA historian Michael Trostel, who will talk the U.S. Sr. Women’s Open at Chicago Golf, the USGA museum and USGA history in Chicago. 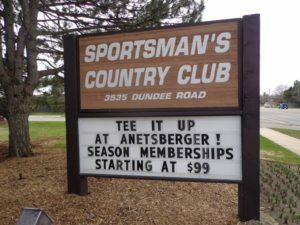 Among other topics discussed today will be the news broke here at Golfersongolf.com about the renovation at Sportsman’s Country Club in Northbrook. The six teams left in the running will present to the board this week, which should be exciting. A decisions by the board could be just over one week away on who will do the project. More golf news coming during the show, we hope you will join us at 10 AM on AM 750 WNDZ. THE GOG BLOG by RORY SPEARS, Director of Content and Creation, Follow Rory on Twitter @GogBlogGuy, and on Facebook and Linkedin. With an Antigua windvest at TPC Deere Run. 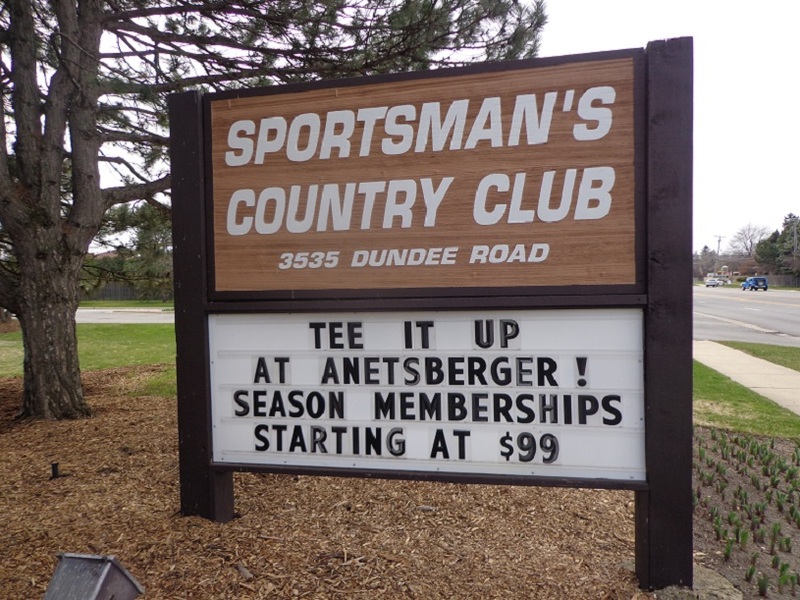 THE NORTHBROOK PARK DISTRICT operators of the Sportsman’s Country Club on Dundee Road in Northbrook, is preparing to go under the wrecking ball for a major renovation, Golfers on Golf has learned. Work would start if possible late in the summer of 2019, and the course is expected to be closed at least one year while changes are made. The golf course that currently includes 27 holes, will be changed and redone. The clubs current clubhouse will be taken down and could be moved on the property. The clubs miniature golf course is expected to be removed completely, but could be brought to another Northbrook Park District location. The next step is to decide which team of architects will win the bid to redo the golf course and clubhouse. The Northbrook Park District’s board of drirectors came up with a unique plan to rebuild Sportsman’s. They made interested architects create a team, so that submitted plans were on the same page for both the clubhouse and the golf course. After initial reviews, the field has been trimmed to six teams, and final presentations will be made this Wednesday and Thursday. the board is expected to decide on the winning team shortly after that. Golfers on Golf has learned the following architects have made the cut for this weeks presentations. 1.Dave Esler, who recently redesigned Mt. Prospect, and is working again at Ravisloe. 2. Mike Benkusky, who is coming off the renovation of Arlington Lakes and St.Charles. 3. Bob Lohmannm currently working on a 3-year project at the Schaumburg Golf Club. 4. Ray Hearn, who will head up the project at Oak Brook Hills, and designed Mistwood. 5. Richard Mandell from Pinehurst, designed the famed Country Club of North Carolina. 6. Greg Martin who is raking in awards for his work at the Preserve at Oak Meadows. 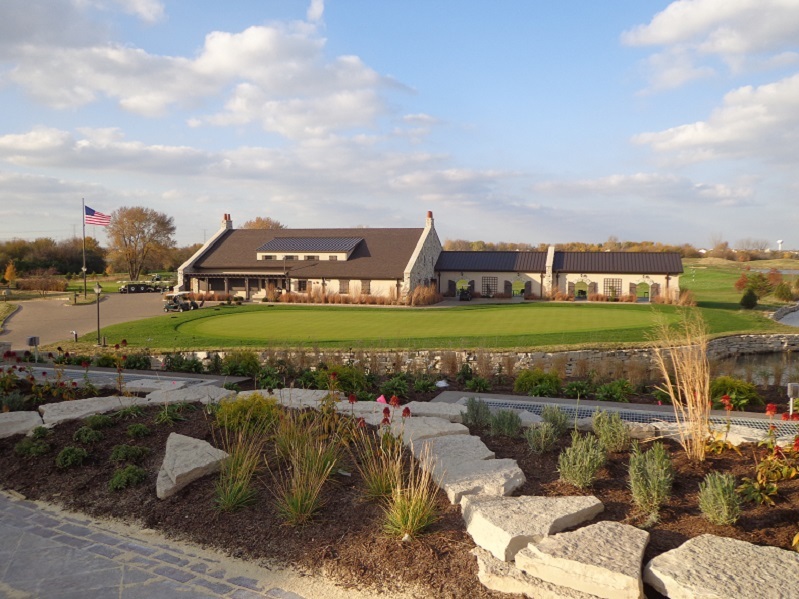 While the clubhouse architects are not known, one source tells Golfers on Golf that Dan Wohlfeil, who will design the clubhouse at the Preserve at Oak Meadows, is currently working on the Chicago Highlands clubhouse, and recently did the new Mistwood Clubhouse has teamed with Martin. Golfers on Golf will continue to follow the story as it develops. THE GOG BLOG by RORY SPEARS, Director of Content and Creation. Follow Rory on Twitter @GogBlogGuy and on Facebook and Linkedin. At the Arnold Palmer memorial at the 2016 Ryder Cup at Hazeltine. WE ARE GOLF, and some refer to yesterday as National Golf Day. But what yesterday was, is a way to show that golf makes a difference in society and adds much to the economy in America. Recent numbers released show that golf is again growing in America, something that many industry insiders have known but multiple news writers have had go right over their heads. Yesterday National Golf Day and WE ARE GOLF took the message of our great game right to the members of congress. Which is something they need to hear,because so many uninformed people, complain when President Donald Trump, or other political leaders take the time to play this great game. The misconception that golf is for the one percenter’s, and is not for everyone is wrong and always will be. While some players will never be good to enough to play on the PGA Tour is true, players of all skill levels can enjoy the game. Yesterdays numbers included a record-high 230 meetings with members of congress that represent 40 of our states. The topics covered were the economical and social impact, along with environmental contributions the sport makes to our nation. This year was the 11th year of National Golf Day. During the meetings with our Senate, House of Representatives, Executive Branch and federal agencies directors, the U.S. Golf Economy Report that was put together by TEConomy Partners, shows that $84.1 billion in activities was driven by golf in 2016, which is a 22% percent increase from from the $68 billion in 2011. The golf industry supported a $191.9 billion dollar amount in total activity, including 1.89 million jobs and 58.7 billion in wages and benefits. In 2016 golf raised $3.94 billion dollars for charities through tournaments and other events. National Golf Day was not lost on members of the U.S. Senate. The CAGR figures surrounding golf include the following numbers. $34.4 billion in revenue from golf courses, clubs, driving ranges and other facilities (combined 2.9% compounded annual growth rate since 2011). Golf raised almost 4 billion dollars for charities in 2016, and numbers not yet released indicate that 2017 will show more growth in areas listed above. For more information on gold economic impact in America, please visit wearegolf.org. THE GOG BLOG by RORY SPEARS, Director of Content and Creation. Follow Rory on Twitter @GogBlogGuy and Facebook and Linkedin. At Garbor Shores home of the 2018 Sr. PGA Championship. 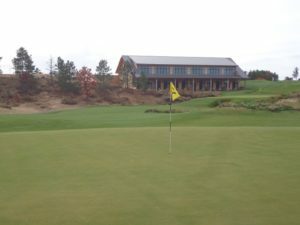 With all the championships in the area, the media day circuit had to begin soon, and it does today, with a stop at the Harbor Shores Golf Club in Benton or Michigan. The Kitchen-Aid Sr. PGA Championship is first on the tee, and defending champion Bernhard Langer joins the day with some thoughts on his win last year at Trump National in DC. That win at Trump National earned Langer an invite to play golf with President Donald Trump, which due to scheduling has not yet happened, but Langer says he will golf Trump when the scheduling works out and he is looking forward to it. One thing that Langer was looking forward to doing was defending his Sr. PGA Championship title, but he announced today that, that won’t happen. Langer’s son is graduating from high school that weekend in Florida and as Langer explained, in his family it’s family first. But Langer does plan to play the other four senior majors this year, including the Sr. Players Championship at Exmoor Country Club in Highland Park. That leaves the championship wide open, but 2015 champion at Harbor Shores Colin Montgomerie should be among the favorites. After doing the media day skit with PGA communications guru Julius Mason, Langer did a media session with the attending press. Click here to hear the media session with Bernhard Langer during media day at the Harbor Shores Golf Club in Benton Harbor. The Golf Club at Harbor Shores is a Jack Nicklaus designed golf course. One thing was noticeable on the course during media day, was the area’s around the 10th, 11th and 12th holes that have been cleaned out for better spectator viewing. It should help make for a great championship come the end of May. I’ll have more details about the Senior PGA and comment from Bernhard Langer in the days ahead. IT WAS NICE ON OUR GOLFERS ON GOLF RADIO SHOW this past Saturday t break a little more news. Illinois Open and and Illinois Amateur Champion Patrick Flavin announced he will defend his title at the Illinois Open August 6-8 at the Glen Club and Ravina Green the second course. Flavin added he might remain amateur this summer. There is no word yet where the area’s BIG 3 college seniors, Doug Ghim, Nick Hardy and Flavin will be playing once they turn professional, that is except for Hardy who will make his professional debut at the Rust Oleum Championship the first week of June at the Ivanhoe CC in Mundelein. Hardy was given an exemption to play in the Web.com event, and will turn pro there. 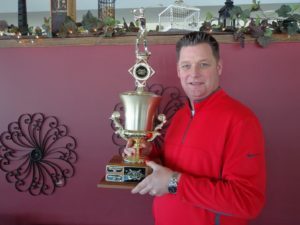 I’d like to thank our guest host Chad Johansen the Pro-GM from Blackberry Oaks GC in Bristol and home of the Blackberry Amateur on June 23-24, the goal this year is to finally fill the field at 120 players. In past years the field size has been in the mid-90’s and it’s time this year to get all 120 spots. 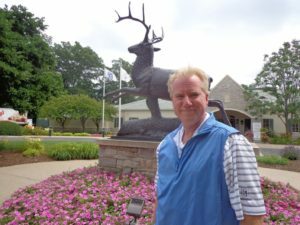 THIS WEEK our guest host is the publisher of the Illinois Golfer Tim Cronin, who is also an author who has written several books on area clubs and the Western Golf Association. 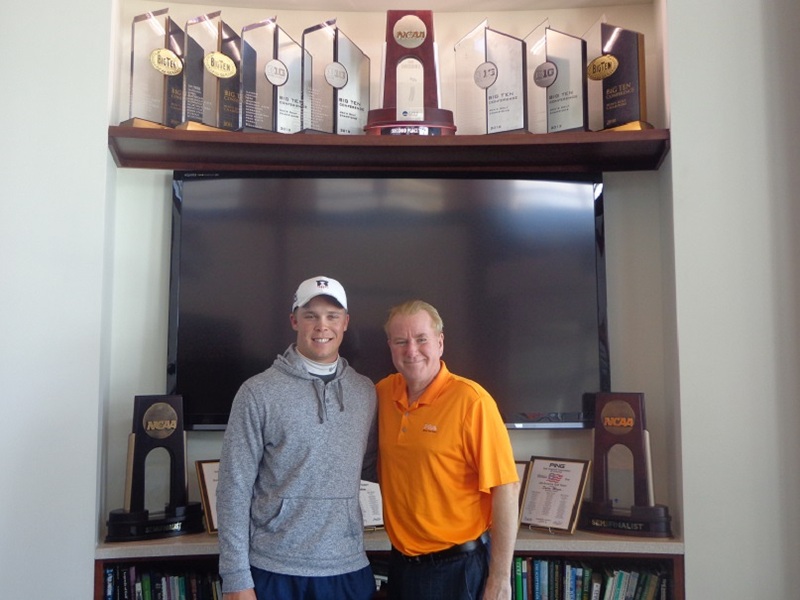 Mistwood Director of Golf Andy Mickelson is in the house on May 5th. PGA Professional Chad Johansen, of Blackberry Oaks, joins Rory Spears and Ed Stevenson in studio. 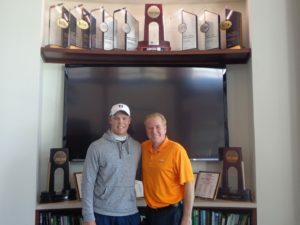 Conversation about the Illinois Open, the Blackberry Amateur, and the Chad Johansen Golf Academy. CHAD JOHANSEN OF BLACKBERRY OAKS GOLF CLUB joins ED, BILLY and RORY in the studio today, he’ll talk the Blackberry Am on June 23-24 #Fillthefield and his golf inventions and the CJGA where Kids-Rule. BLACKBERRY AM SPONSOR WILSON GOLF will have it’s GM Tim Clarke join us to talk the new Driver vs Driver Show and everything else Wilson Golf. GOLFERS ON GOLF RADIO the TEE TIME is 10 AM on Am 750 WNDZ this morning, so join us before or after your round today. 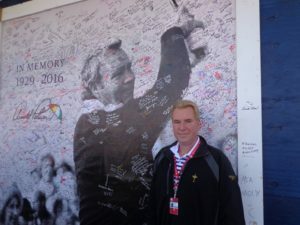 LONG TIME GOLF WRITER AND AUTHOR TIM CRONIN joins us for Week #3 as our guest host. MORE golf news coming here later today. The Illinois PGA will have the Illinois Open return to the Glen Club for an 11th time. 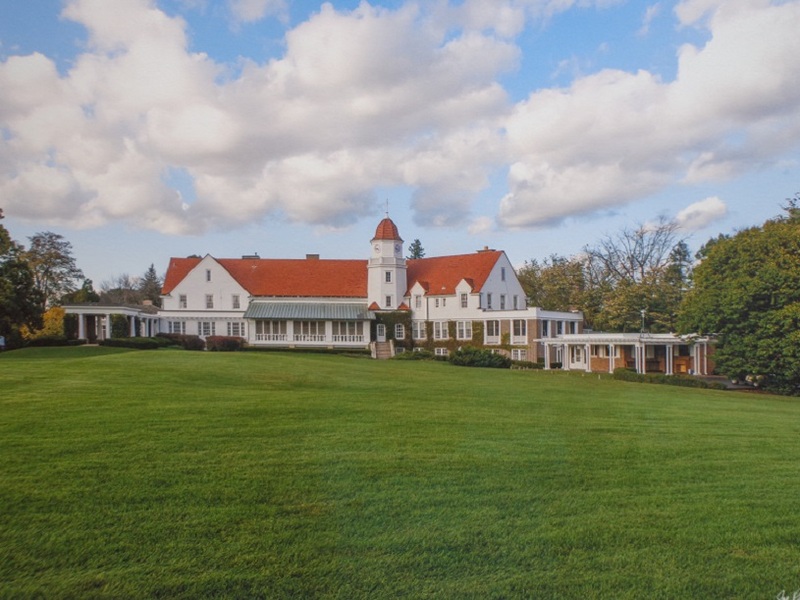 This year the second course will be the Ravinia Green Country Club in Riverwoods. This will be the first time the Illinois Open will visit Ravinia Green. Patrick Flavin is the defending champion. The first two rounds will be played at both courses, with final round play hedl at just the Glen Club. “Once again we feel we have two outstanding championship sites to host the 69th Illinois Open Championship,” said Carrie Williams, executive director of the Illinois PGA. 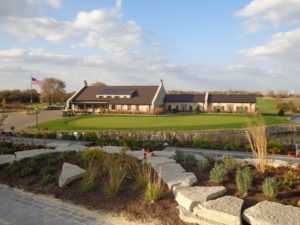 “The Glen Club has been a longtime partner of the Section and his to our headquarters and Illinois Golf Hall of Fame, and is truly a championship course. Ravinia Green’s tighter tree-lined layout contrasts in style to the Glen Club, and we are really looking forward to showcasing the clubs recently updates amenities. The two courses will provide challenging play in different ways and their close proximity to one another will ease logistics for players, fans, sponsors, staff and officials. This will be the fifth year of the Illinois Open needing two courses, due to an expanded field size. The 2018 field will have 264 contestants. In advance of the championship there will be eight qualifying events that will take place between June 26th and August 1st.. The first round of the Illinois Open will be played on Monday August 6th, the second round on the 7th, with the third and final round being played on Wednesday August 8th. 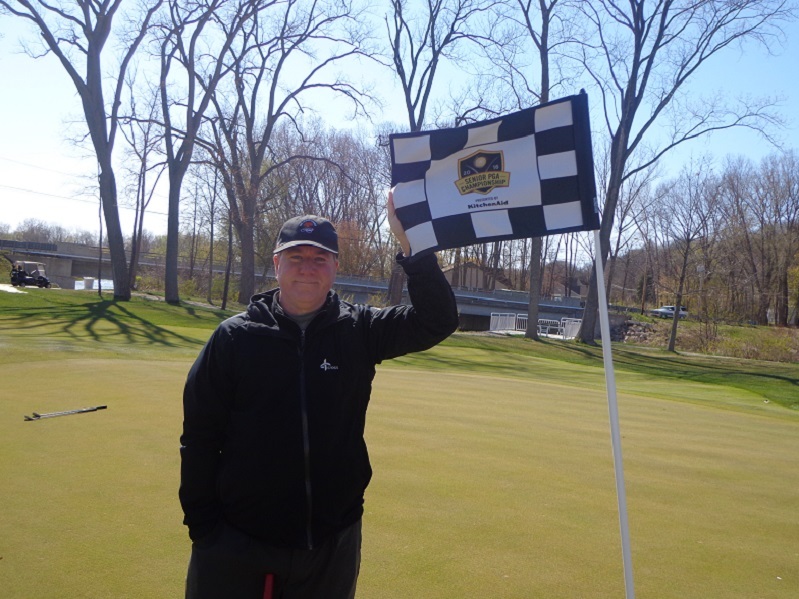 Danny Behr, head professional of the Ravina Green Country Club spoke on behalf of his club getting the opportunity to host it’s first Illinois Open. 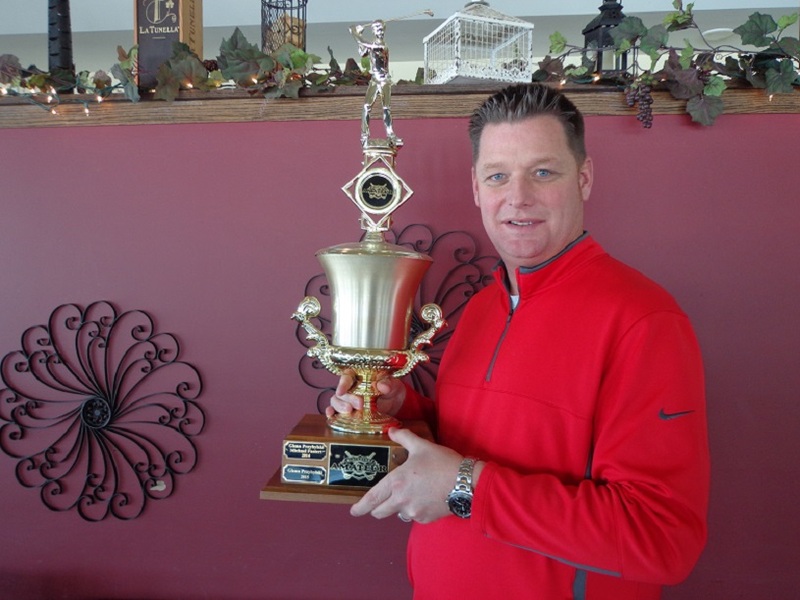 The first of eight qualifiers will be held on June 25th at the Bartlett Hills GC in Bartlett. the Illinois Open dates back to 1922, and to register to compete in this years championship please visit IPGA.com.